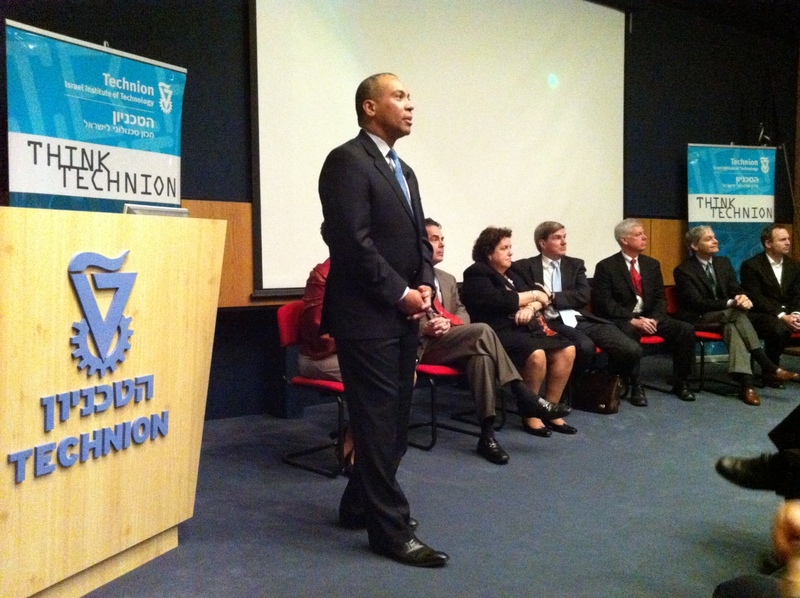 Editor’s Note: NAIOP CEO David Begelfer is traveling with Governor Patrick’s Trade Mission to Israel and is sending daily updates on their progress.On our third day in Israel, Governor Patrick led a Town Hall: “Collaborating as Leaders in the Innovation Economy” at The Technion (Israel’s “MIT”). Questions centered on what early stage resources were available if the Commonwealth wanted to attract start-up businesses? Susan Windham-Bannister, President & CEO of the Massachusetts Life Sciences Center, explained that the Center was established to promote and make financial investments to grow life sciences companies. The Center is there to fill the gap in the “Death Valley” of VC funding, the period from when a startup receives initial capital to when it begins generating revenues. Additional financing is usually scarce during this time, so the Center provides 5-year loans to qualified firms. Patrick Cloney, Director of the Massachusetts Clean Energy Center, said they are promoting the state’s clean energy industry by making direct investments and providing assistance to access capital. In 2009, the state’s ratepayer-funded Renewable Energy Trust Fund was transferred to the Center. Finally, Pat Larkin spoke about the Massachusetts Technology Collaborative, which encourages the formation, retention, and expansion of technology-related enterprises. As Director of the MTC’s John Adams Innovation Institute, he makes investments in the knowledge-based economy. Other notable moments on the trip included a presentation by Haifa Mayor Yona Yahav who spoke to our delegation at the Combined Jewish Philanthropies’ Boston-Haifa Connection’s “Shiluvim” program (an effort to help Ethiopian Jewish immigrant children adjust to a new life in Haifa). 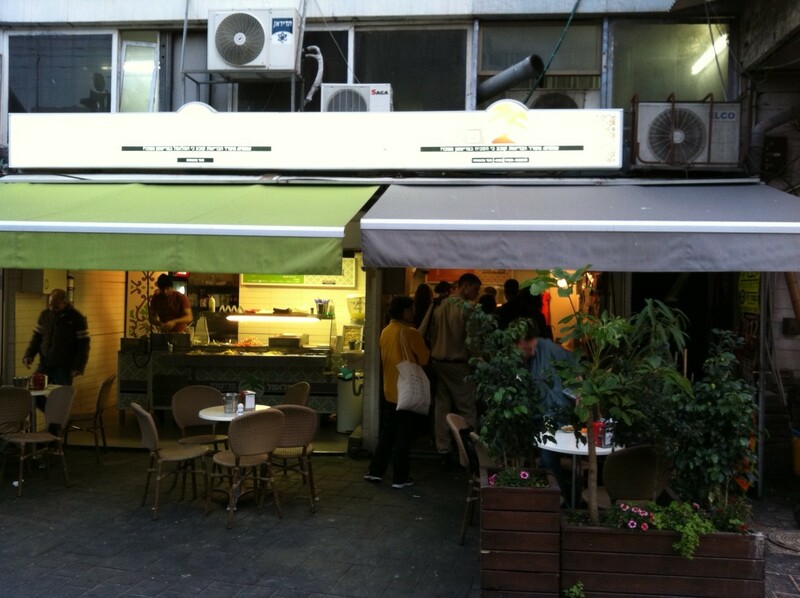 And the BEST falafel stand in Tel Aviv! This entry was posted in Investment and tagged Massachusetts Innovation Economy Partnership Mission to Israel by Tamara Small. Bookmark the permalink.